Part of HR’s job is to meet and communicate with employees and job seekers on a daily basis. But with employees giving weird excuses for being late to work, behaving strangely on business trips, and job seekers doing questionable things to get noticed, how much more can an HR executive handle? 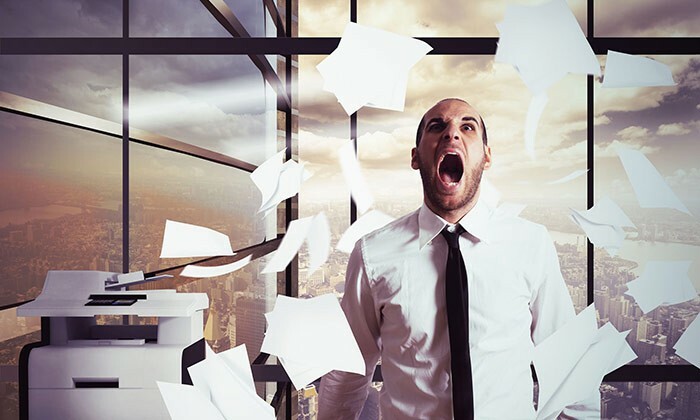 In line with that, OrangeHRM has compiled a list of 14 things that drive HR executives crazy – and here are 10 of our favourites. There’s no excuse for not completing a 15 minute safety training within 2 weeks. Your company has a strict dress code for warehouse employees but the senior executives constantly enter the warehouse without protective gear. The most accurate way to get a reading of the employee engagement is by the survey. How is the recruiter supposed to take you seriously if you’re wearing jeans and yeezys? #5 Being asked to judge candidates based on things they shouldn’t be judged on. Things like attractiveness, number of kids, marital status, nationality, etc. Not only can this be immoral, but illegal as well. Don’t even think about bringing your parents to an interview. HR is arguably the most important department in the organisation as people are the most important asset an organisation has. You have a CEO, COO, CMO, CTO, CFO, but no CHRO or CPO? Having HR coordinators serve executive lunches is not an appropriate use of their time. The fridge and freezer are for everybody, you should be refilling it everyday. Some HR execs have reported that over 98% of responses they get from a job board posting is junk. It’s either candidates from overseas who are looking to be sponsored, unqualified candidates, robots, or recruiting firms. This issue is become less common as more organisations are starting to use applicant tracking systems or ATS. But employees say they have to work overtime because bosses don't hire enough manpower. Who is speaking the truth?.. Coca-Cola China will also be affected as part of the company's redesign of its global operating model. ..
"If you need a handbook to use it, then it’s not working. Technology should not make it any more difficult for us to work.".. Are you “responsible” and “strategic” and “effective”? If you’re using these words to describe yourself in online profiles, 2014 w..